The Groom’s Room doubles as a harness room, complete with equestrian-themed accessories and activities for the groomsmen such as a blackjack and roulette table, snookers (a New Zealand version of billiards, and more. There's plenty of authentic western furniture and groomsmen are welcome to bring in favorite refreshments while preparing for the big day. The Bride’s room, upstairs in a ranch house adorned by peacock stained glass window, has white wicker furniture, a peacock-style chair, floral bouquets and views of an orchard below for the bride and her entourage of bridesmaids. 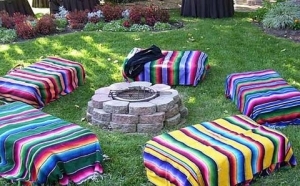 An outdoor dance floor, fire pit, trees with twinkle lights, padded bench seats wrapped in colorful Mexican serapes, a raised cake table and flowering gardens add to the festive ambience. 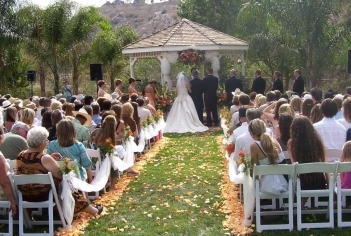 Or for more traditional wedding options, you can tie the knot in a wide gazebo or beneath a shady cottonwood tree on an expansive lawn. At dusk, the setting sun casts a pink glow over El Cajon Mountain (known locally as El Capitan for its resemblance to the framed Yosemite landmark) before the clear night country sky reveals a spangle of stars above. This is a full-service, 11-acre wedding venue, where a wedding package includes a wedding coordinator, though you also have flexibility to bring in your own caterers and other wedding vendors, or use those recommended by Hazy Meadow. 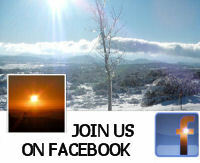 Bilingual services are available. The site is quiet and peaceful, no airport, noisy freeways or other distractions from your big occasion. There’s even an Old West town façade complete with cover ed wagon for those who want to set up cocktails in front of the saloon or have a Western-style wedding. For a unique souvenir, you can also opt for photos in a mock “jail." The venue does just one wedding or other special event a week, during the non-rainy season. The advantage for brides and grooms is that you can arrive anytime on your wedding day and “decorate to your heart’s content”, says Linda Hayes, who has owned the ranch for 29 years and has been doing weddings for the past 15 years. You can add personal touches, such a cooler full of mimosas for your bridesmaids. 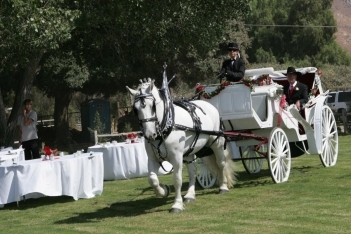 Linda started out offering horse-drawn carriage rides countywide, including at weddings, before starting up weddings at her horse training ranch with her husband, Larry, in 2000. 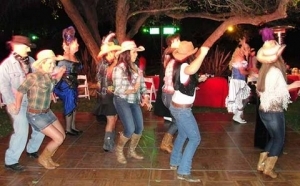 The facility can accommodate parking for up to 350 guests onsite, or 400 guests if limo busses are provided. That includes Linda and her husband, Larry, who had their very own romantic wedding ceremony right here at Hazy Meadow, a one-of-a-kind haven for couples seeking a special place to “get hitched” here in San Diego’s East County.